We offer unique experiences for children’s birthday parties from small group events to as many as 25 kids. Our events are completely tailor made depending on what you’re looking for, whether you have a theme in mind, particular ingredients or dietary requirements. 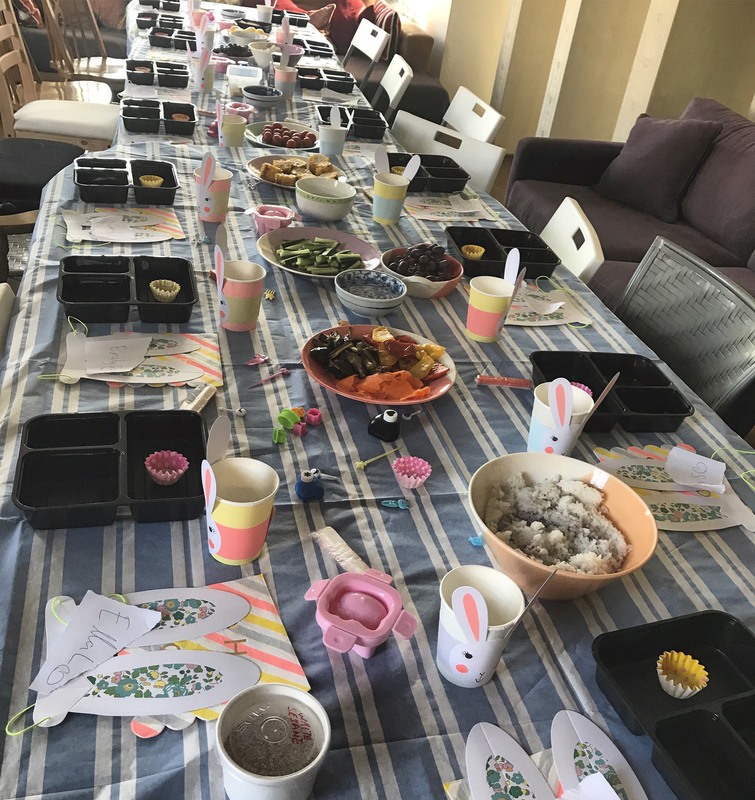 You can combine any of our options (sushi, bento/cookery, origami and crafts) to make the perfect event for your child and their friends. 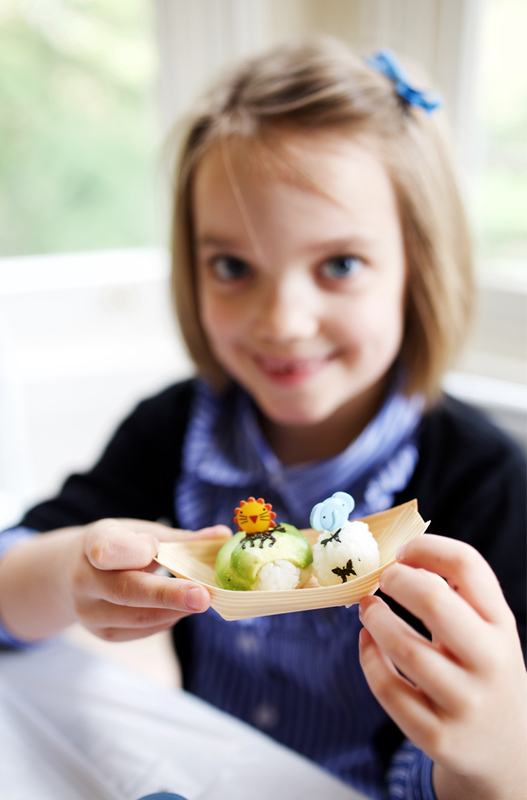 All Alice Sushi Art parties are suitable for children aged 5+ and we want everyone to get creative whatever option you choose. 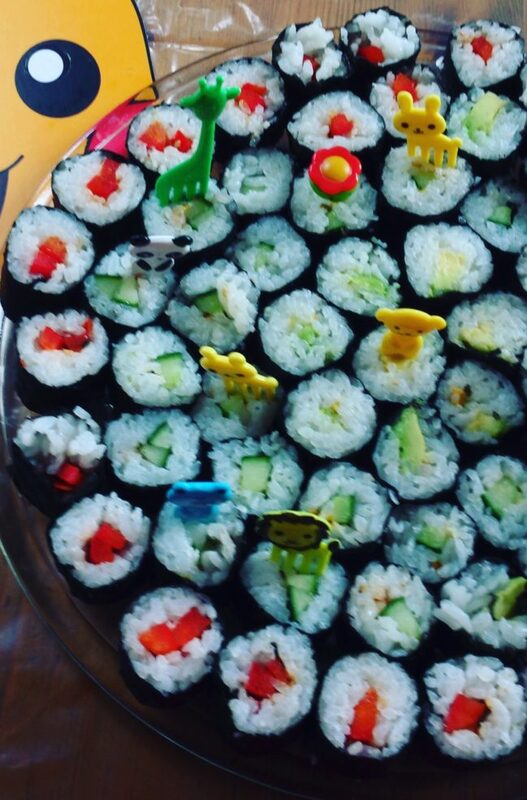 Sushi or bento making parties are a great way to experiment, making cute faces with healthy ingredients. All colours are derived from natural foods like Japanese sweet potato, turmeric, spinach and seaweeds. 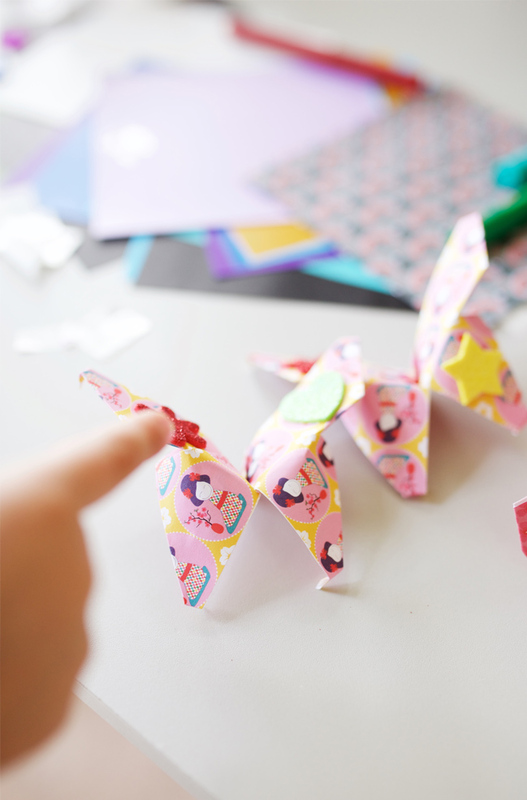 Kids love origami making, everyone will be amazed at how many different things they can make from a single piece of paper. 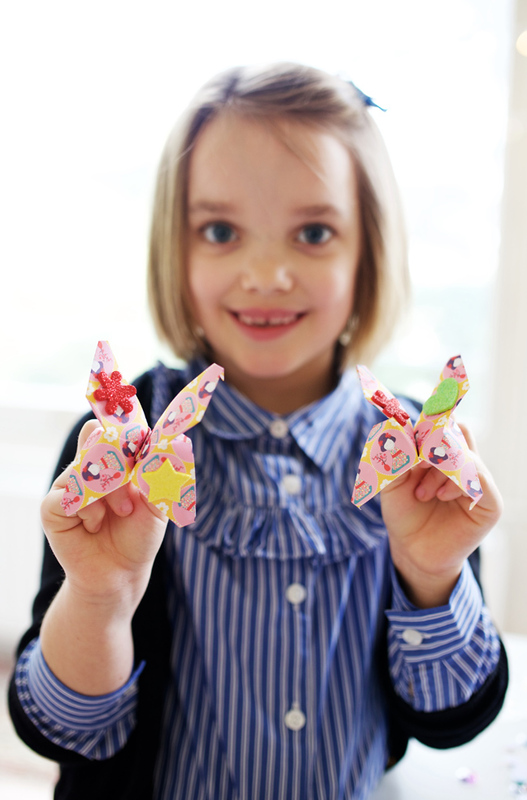 We ask you for a favourite theme based on your child’s interests – previous events have been based around animals, sea creatures, flowers, musical instruments, anime/a favourite film and seasonal origami. 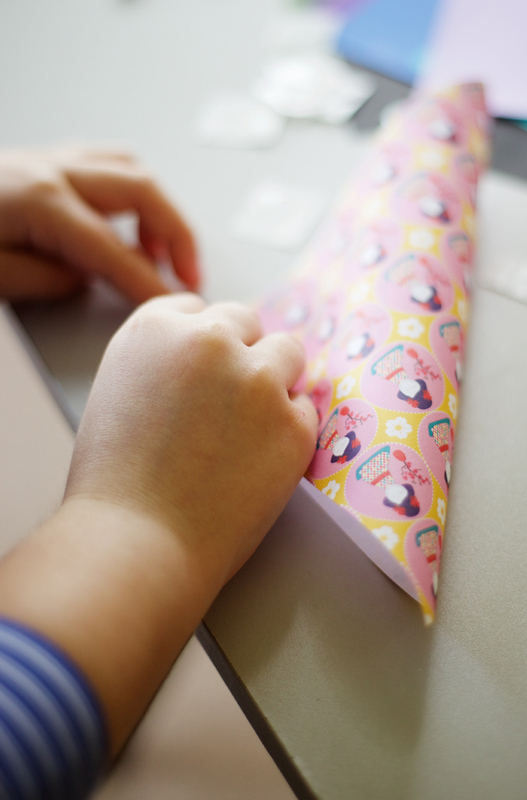 They’ll be a lot of decorating and time for activities, we can also spend time making children’s favourite pieces. Get in contact with us for further information, availability and pricing. We offer 1.5-2 hour parties in your own home or one of our recommended venues. Get in touch today to talk to us about your party requirements! "Alice and Harry were wonderful. 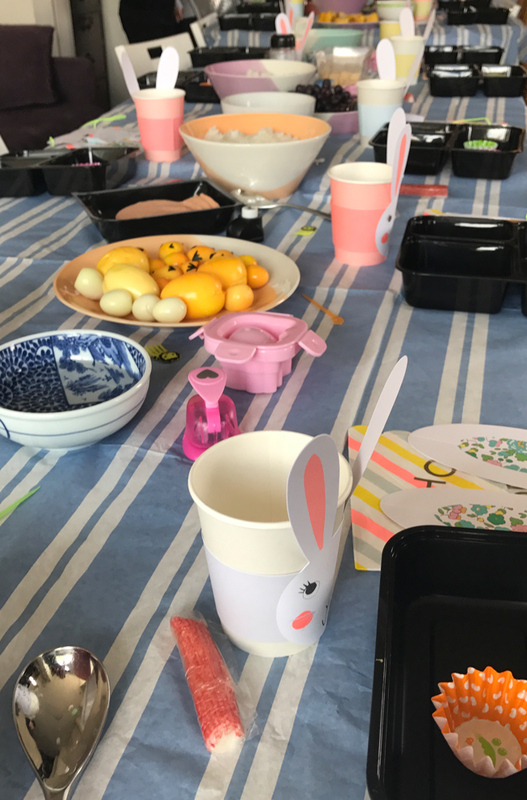 Not only did they stay poised and cool whilst directing a group of 20 super excited 9 year old girls they also managed to ensure that everyone produced a superb bento box of Hello Kitty sushi followed by extra cute origami."